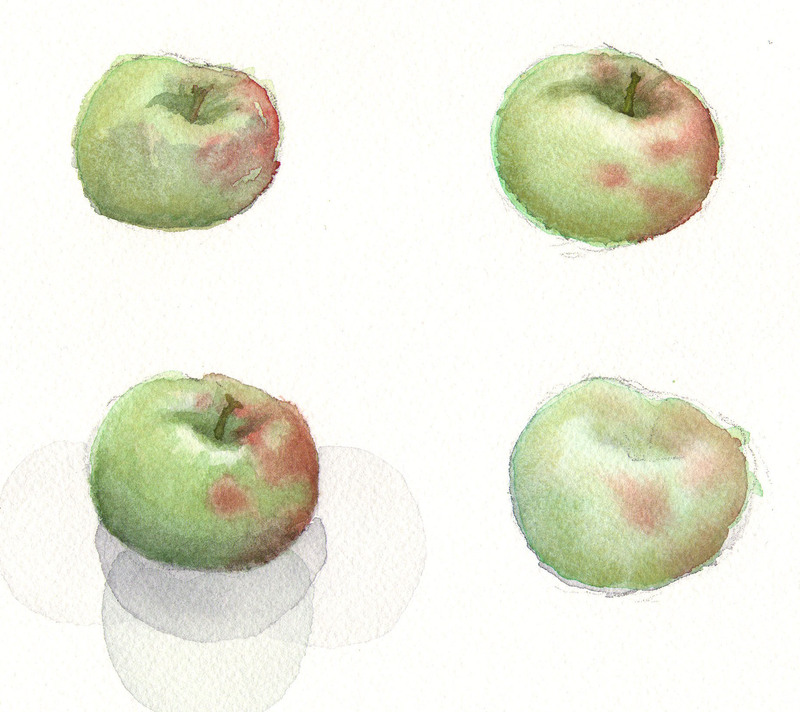 Last year, as part my career transitioning, I dug up my old paintbrushes and signed up for some watercolor classes. I was surprised by how much I enjoyed it. I hadn’t done any painting since my costume design days and I had never felt entirely comfortable with it, but the encouragement and guidance I got from from two excellent artists/teachers really helped me to embrace the medium: Amy Park who teaches a class at the 92nd Street Y and Michiyo Fukushima who taught a five day workshop at The Art Students League of New York. 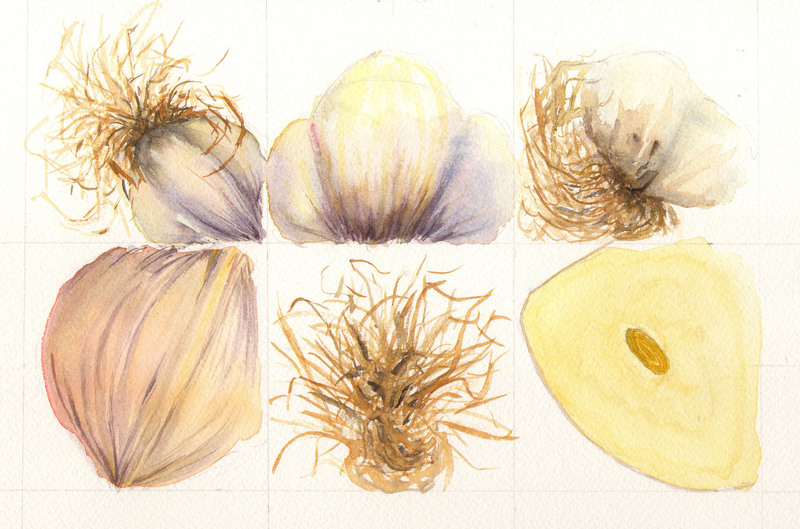 One of my favorite projects was a study of garlic, seen from different angles. 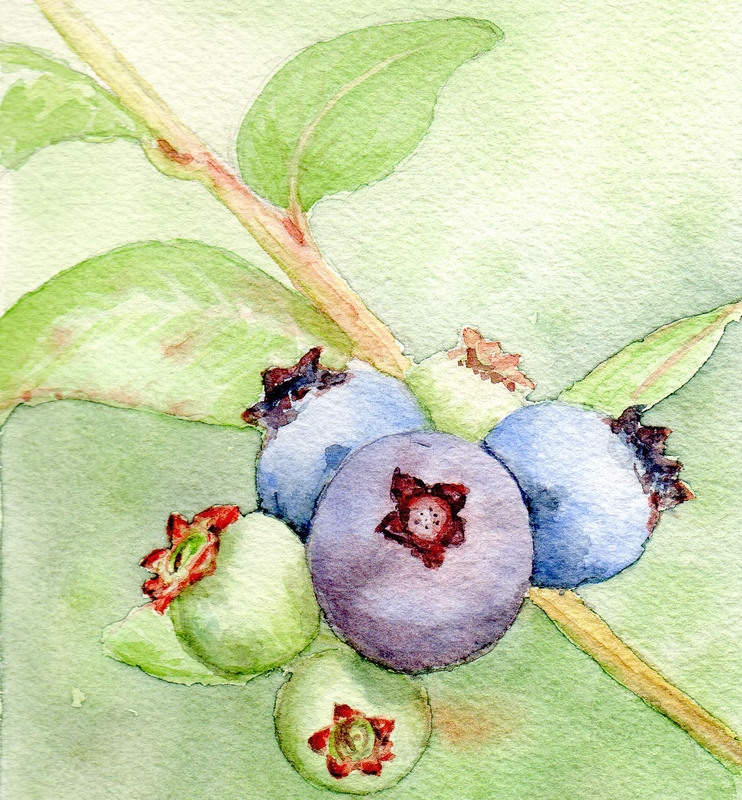 My least favorite projects were landscapes. 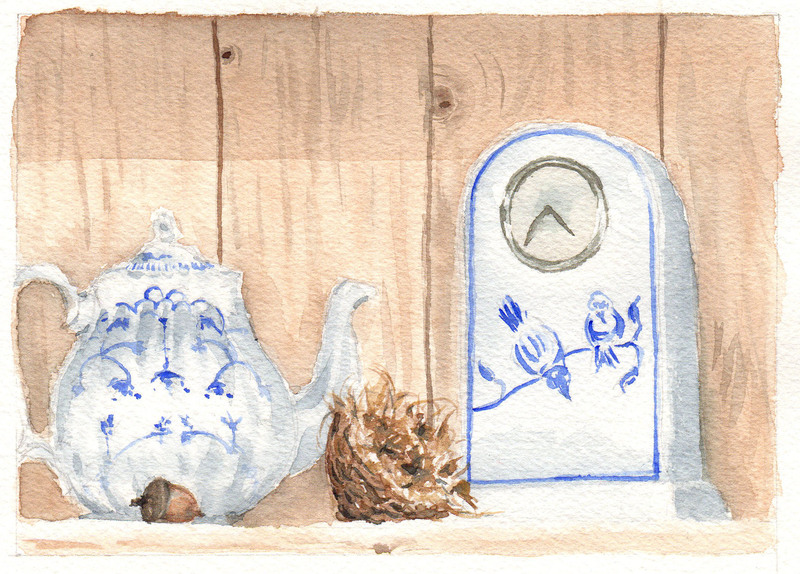 So, I’ve mostly been working on painting still life’s or just concentrating on one detailed object. Fortunately, I have an unending collection of photos that I took of my garden for inspiration. I was most interested to learn that you were getting some inspiration from these last two art workshops. I felt the same elation about my experiences with workshops taken during my early days of teaching, all of which were led by some really fine teachers. In fact, I often felt that I had learned more from them than in some college education courses–practical stuff that I could (and did) use immediately! They also helped meet many fine teachers who became good friends and colleagues with whom I still have contact. Kay and I will be in New York again in early February and hope to see you then. Alex, your paintings are absolutely beautiful!! 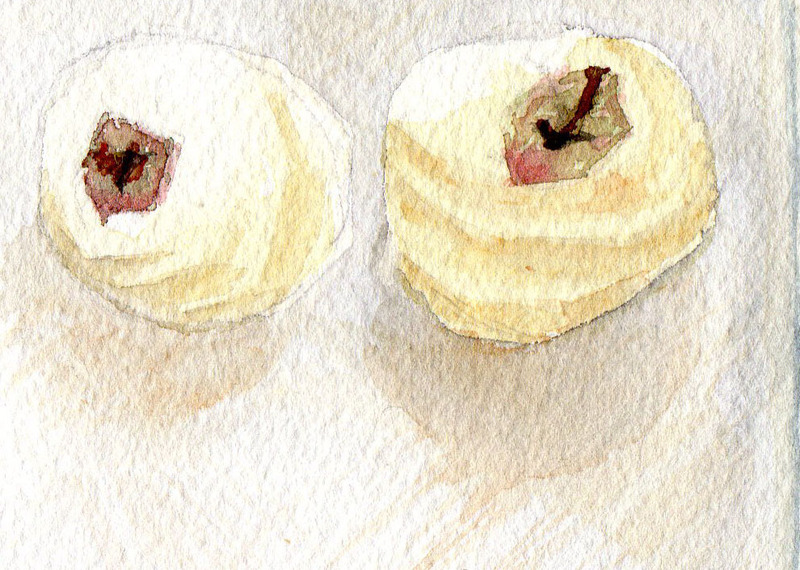 Have you considered selling your watercolors? I’d be first in line to buy!